I have to get a new set of knives (because the ones they have at school are terribly dull and hardly cut anything…and because it’s a requirement by week 4 of the course). In our class we had the knife yoda, Dylan from Sonoma Cutlery in Petaluma, come do a demo with all the knives he sells in his shop. He offers a discount for culinary students and professionals, so I can’t wait to go check out some nice knives. Sorry, now on to the PICKLES. I know there a ton of people out there in the world who dislike pickles, olives and other vinegar-y delicious jarred items. They are silly, but I will overlook this ridiculous trait because it means more yummyness for the rest of us. I have loooved pickles since I was a baby! 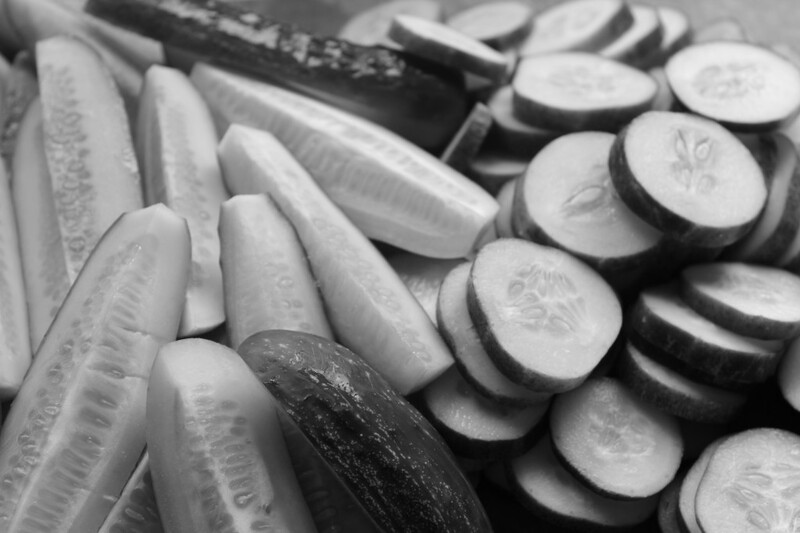 My sister and I would always sneak into the fridge and snag tons of pickles when our mom wasn’t watching…and then proceed to have horrible tummy aches from eating too many. Same story with olives (even capers…which I probably wouldn’t do now). 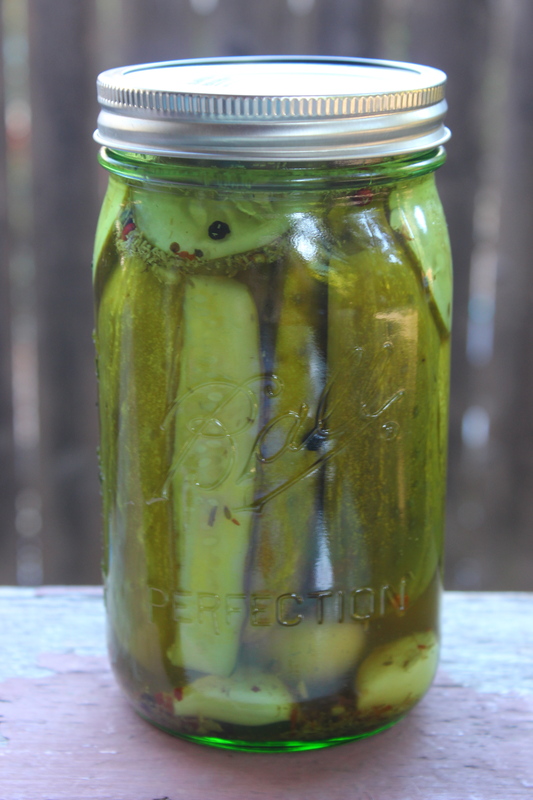 This pickle recipe came from Nev’s mom Delynne. She had made a batch last year and gave me a jar to try, and it was instant love. 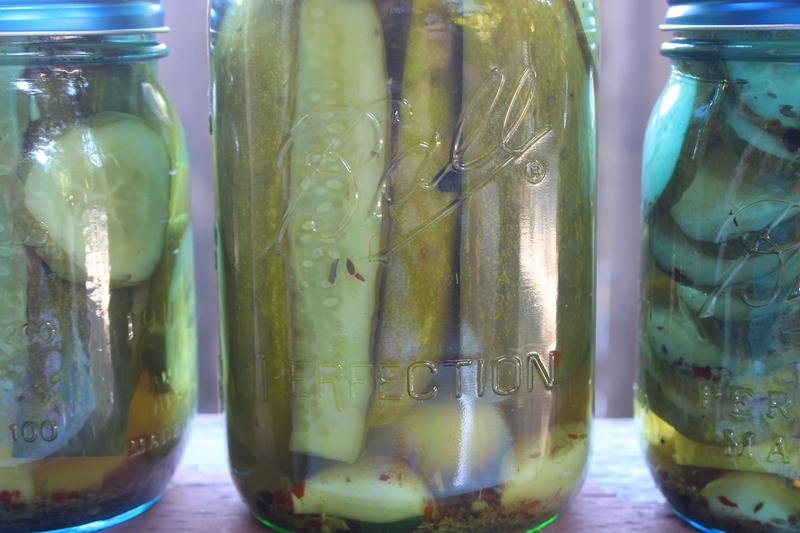 Garlic, dill, spicy chili flakes…so many good things all packed into a pickle. So meant to be. You can adjust the spice to what you like, and same with the amount of garlic. I amped up both for my pickles. My family has always been into canning. We make jam almost every summer (and when we go to Washington to visit my grandma we go to the local berry farms and pick obscene amounts to make so.much.jam.). It’s just a really fun way to feel connected to ingredients!Even if you don’t grow the fruits/veggies yourself, going to the Farmer’s Market and selecting each item to pickle or can is something I really enjoy. 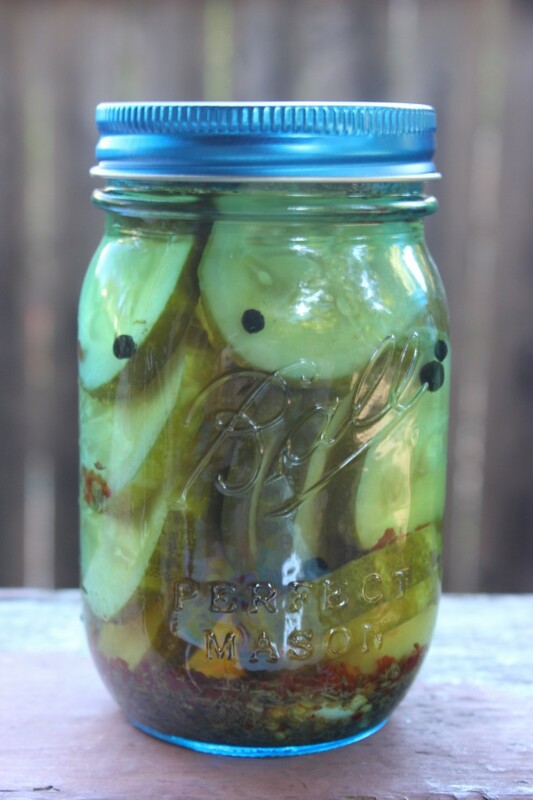 These can be made as refrigerator pickles too, so they’re super easy! 1.) Make sure your jars are washed and dried. 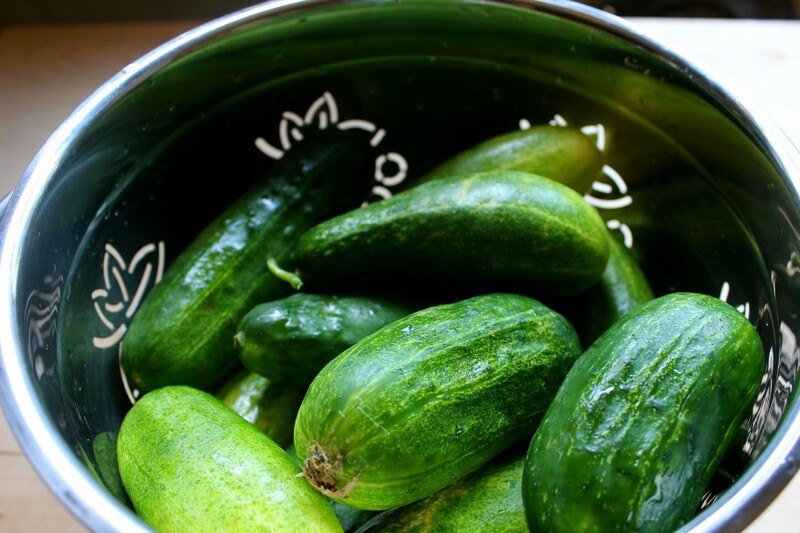 If you will be making canned pickles, prepare a large pot of boiling water. Put new jar lids (not the rings) into a small pan of simmering water. 2.) 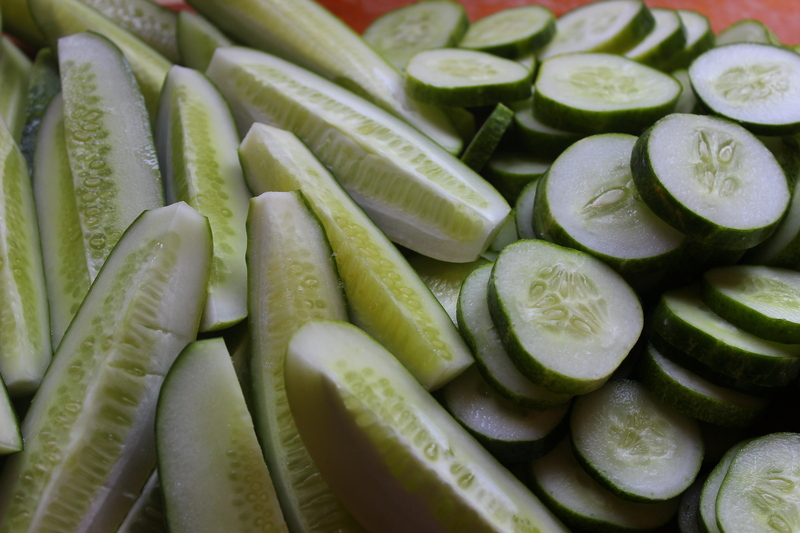 Wash and dry your cukes. Cut off the ends, and slice into whatever shape you prefer. I did spears and chips! Divide the spices between your jars (I used four 16 oz jars, and 1 32 oz jar). Put 3 cloves of garlic in the smaller jars, and 5-6 cloves in the larger jar. 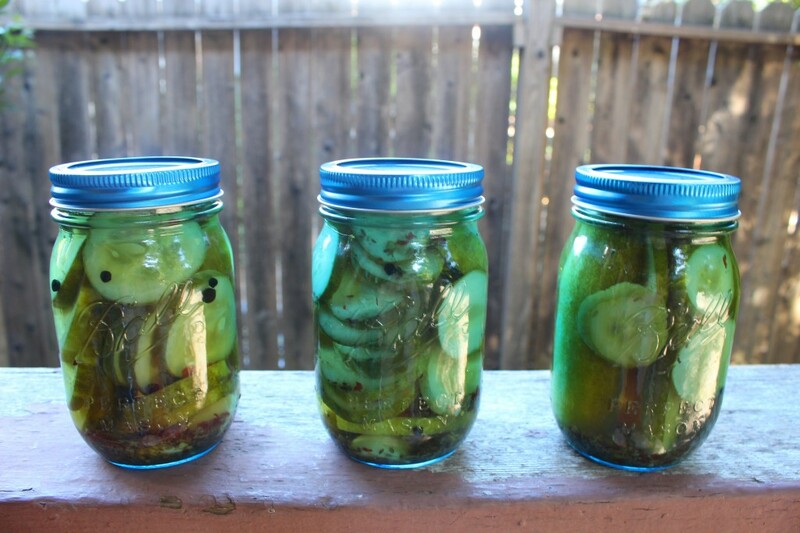 Then divide the cukes and pack them into the jars as tightly as you can without squishing them. 3.) Put vinegar, water and salt in a pan and bring to a boil. Pour brine into jars leaving 1/4 inch of space in the jar. Remove air bubbles with a chopstick or skewer. Wipe rims and apply lid and bands (don’t screw them super tightly). 4.) If you are going to can them, put them in your pot of boiling water. When the water starts boiling again, let them go for 10 minutes. Carefully remove jars from pot when time is up, and allow to cool. Check seals after they’ve cooled. If they didn’t pop or you can see the top is still up, they will need to be refrigerated. 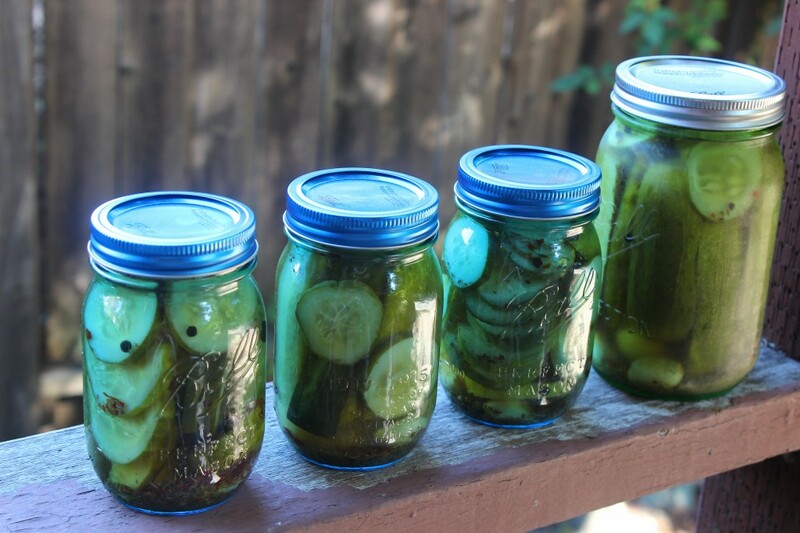 If you are making refrigerator pickles, wait until they have cooled and then refrigerate. Let them rest for one week before eating. UM. THIS IS AMAZING. 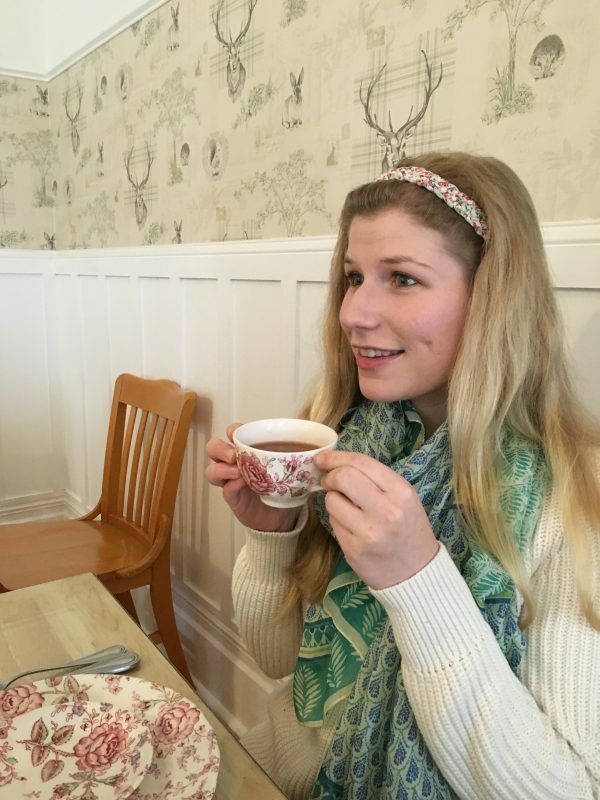 Your website turned out so good!!! I keep thinking I want to make everything, and then I think maybe i’ll just come over and be a taster for you because you’ll make it better than I will :p.
Great job Soph!! So proud of you! Awww thank you dear! I’m so glad you like it! It’s definitely still a work in process, but I’m happy with it so far. 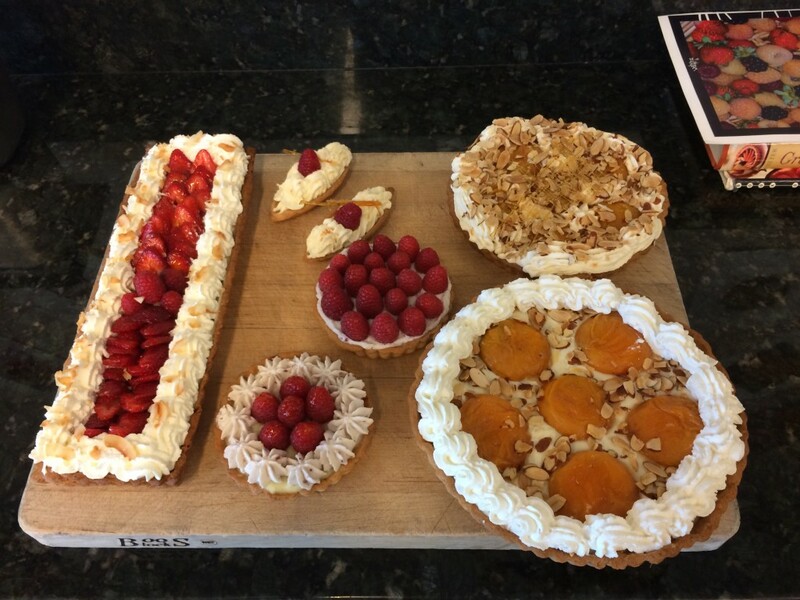 You shoulllddd come and taste things all the time. I’m always trying to find a home for things!